Flights to and from Mount Pleasant Airport (MPN) are operated by the UK Ministry of Defence. There are direct flights from RAF Brize Norton in the UK. 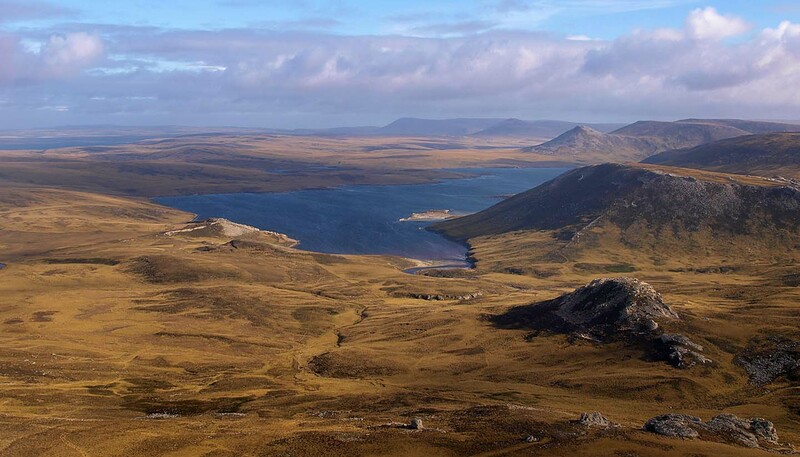 Tour operators and travel agents will make the necessary arrangements if the trip is booked through them; independent travellers need to contact a travel coordinator at the Falkland Islands Government Office (tel: +44 20 7222 2542). Return flights from the UK are via Ascension Island. The other option is to fly to Santiago (Chile) and connect with a flight to Punta Arenas in southern Chile and then on to Stanley. LAN (www.lan.com) runs this service. The airport is approximately 56km (35 miles) from Stanley. From Brize Norton to Mount Pleasant - 20 hours (including a refuelling stop at Ascension Island); from Punta Arenas (Chile) to Mount Pleasant - 5 hours. £22 for LAN passengers. Included in the fare if you book a Ministry of Defence flight. Cruise companies operate to the Falklands. The main shipping company operating to and from the UK is Falkland Islands Shipping (www.the-falkland-islands-co.com).